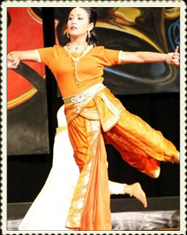 Indian Dance School in Dallas Fort-worth Areas. Would You Know The Dancer By Dance Name ?? And yes, comes the answer from all our students and every dancer that we have ever known. Bharatanatyam students who have completed their exclusive trainings by all means want to take that crown of being fully trained and be called as Bharatanatyam Dancer once they reach to performing dance level. What do these names tell you : Smt. Rama Vaidyanathan, Smt. Mrinalini Sarabhai, Smt. Mallika Sarabhai, Smt. Hemamalini :), Rukmani Devi Arundale. And yes, we have Bollywood Students who proudly takes the pride of being called as Bollywood dancer as they showcase some of their favorite actors to unlimited creativity that they learn at Mirchi Dance Academy. Check these names that identify as Bollywood dancers or choreographers : Smt. Hemamalini, Madhuri Dixit, Prabhu Deva, Hritik Roshan, Deepika Padukone, and many more. Some dancers that dance between dance categories like Madhuri Dixit, Hemamalini, Mallika Sarabhai are still identified with their skill-set and showcase them well when done as actual dance form piece. While creative dancing is at its hype these days (not fusion), these dancers have carved differences between each of the dances that they perform. You see fundamentals in their dances, and so comes along flawless execution that comes with years of training. We all have seen them aging, staying young, growing big and small by waist in sizes :), small to long hair, becoming tan to becoming most fair of all and yet they do can do it right. Why ? Training :). It trains your body to be able to handle that work no matter what you go through and it mentally prepares you to just do it. Your reflex by default goes to muscle memory when being said to do so and that does not happen in days. Not even in 10 days even if you dance from 9am to 9 pm for straight 10 days. First 5 days, you will be pretty much just learning the basics if so! To master dance forms, you will need to master those movements and with those, the techniques. To build that, you have to do it for over 100 hours minimum. Life is very simple and so is dance. Even if we dance across all we have ever learned, you can outline each of dance technique, identify it and name it. And once done, next comes the dancer :). A lot of students at Grace And Grooves dance between categories depending on commitment especially our Folk Dance Students and Bollywood Students and they all are able to outline, differentiate and flawless show what they are they are doing, with names :). They can outline creative dances as well when its done. At Grace And Grooves, Bollywood/Movie Dance program students enjoy the liberty to attend any class they want, it is not everybody’s cup of tea to handle the dances or the technique classes of dance form. This idea was inspired from Hetal Nagaraj’s own teacher in Ahmedabad who has been following this ever since they started teaching Bollywood(past couple of years). Now that is power of training that you would want to pay for. And this is why you do not want teachers who tell you to watch and learn. Remember one thing that everything that is online and requires physical work with techniques is for those know what it is. One body and one life we all have and yes, we aim to do right. Our life is that precious and we want you to value your life :). Grace And Grooves holds exclusive rights for all the pictures being posted with permission of organizers for exclusive Grace And Groove use only. Exclusive Copyrights by Reach Media for Hetal Joshi | Grace & Grooves | Grace Creations | Grace And Grooves 2012-2018. All Pictures posted here are with an exclusive consent of participating students, parents or school staffs. This material can not be published, broadcast, rewritten or redistributed without permission. Anantha-1, a dance production series showcasing beauty, elegance, creativity, as well as infinite possibilities of Bharatnatyam, Indian Folk Dances, Rabindra Nruthya, Manipuri And Kathak. All of this without forsaking fundamentals. Idea of Anantha was implanted in 2018 January when we had faced some challenges that opened doors to other possibilities. First announcements were made to public in various medias from Nov 2, 2018 and onwards. Every year it just happens that as Grace And Grooves LLC plan their annual programs/recitals and they come out so beautiful that it ends up in dance productions with and without dance-musical dramas. But the idea of dance recital was not enough for Bharatnatyam and Indian Folk Students after getting ready for 30-45 mins with all that make-up and costume. These students were to be taught the possibilities within the dance form and show it off separately. So, Anantha Production Series it was! With straight background comes unlimited (Anantha) creativity. Thus, the name of “Anantha” was given to this dance production series with each dance showcasing unlimited possibilities in each dance forms. 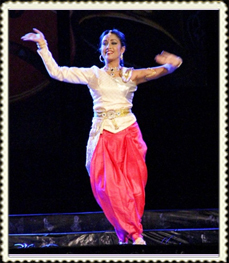 The name and concept is inspired from several dance production houses or dance institutes like that of her mom, own teachers, formal gurus, dance exponents such as Daksha V Joshi, Mrinalini Sarabhai, Daksha M Joshi, Tanjore Brothers Original Margam, Kalakshetra Foundation, Natyavihar Kalakendra. This intense training of over 34 years has given a shape to Hetal’s own dance creations within exclusive Indian Dance Forms such as Bharatanatyam and Indian Folk Dances. Some dances have also received exclusive copyright permissions to republish under the name of Hetal Nagaraj and some have received competition awards early this year and years before as well. Anantha opened its door with Anantha-1 in 2019 to begin with on Jan 27, 2019 at Plano Courtyard Theater, Plano, Texas, USA from 330 PM to 730 PM and was a houseful event. The event was an introduction event to her elite students such as Ashna Pethe and The Setty Siblings who are in advance trainings from years now and Rinku Das-a budding artist of Dallas-Forth, Texas. These students roughly danced for more than 2 hours. In Anantha, their intern choreographers, performing teams got every opportunity to be creative under the supervision, direction of Hetal Nagaraj and yet feel challenged without forsaking fundamentals of each dance form. All of it with full safety on practicing it in the right way. It is not about perfection, it is about doing it right. Hetal Nagaraj is artistic director of Grace And Grooves LLC. This is her 4th dance program in a row showcasing A Grade Indian Dance Productions with each dance as a reflection of her experiences, trainings and now the degrees. It has been peculiarity of Hetal that her dances include Nritta, Natya and Nruthya as its basic components with balance of Tandav and Lasyam. Each dance of her has a name to define with its subject in the dance along with dance themes that are full of life, happiness, thankfulness, blessings and above all beautiful costumes that she herself designs. But, Anantha-1 is Hetal Nagaraj’s VERY FIRST exclusive dance production for Indian Dance Forms and A Tribute to Rabindranath Tagore Famous Literature and Poems which as a matter of fact matched to our production name. All the students had so much fun learning and practicing for Anantha-1 during their regular class hours itself and no additional class is required. It is not like you pay, you get to be part of it, and be done with it. It is what they have learned, they’ll showcase. No outside students were allowed to perform or take trainings or as part of freelance dancers. Even the guest artists are/were students of Grace And Grooves LLC enrolled in their exclusive programs. Anantha Dance Production Series is about Grace And Grooves LLC students and their team only. Hetal Nagaraj selects them for this dance production and not everybody is able to make it to her list. We will always had a special guests like this time we had Rinku Das who will do their own dances and stick to our themes or request with their team or solo but they are our special guests. From students who wanted the thrill got it covered along with students who wanted the fun of natyam alone still staying in their respective dance forms. Who said dance forms are boring..Not at Grace And Grooves! Congratulations to Students Samarth Setty(Age 11) and Tejawini(Adults) for completing their entire Bharatanatyam Margam in Anantha-1 by performing under the strict supervision, instruction and guidance of Mrs. Hetal Nagaraj. This was made possible by dancing back to back for straight 3 hours from Pushpanjali, Allaripu, Jatiswaram, Thillana, Group-Shabdam, Creative Bharatanatyam, Copyright Bharatanatyam Dance Pieces, and Rabindra Nruthya as well. This also means, that it can be very much called their own arangetram, if they choose not to do it as solo arangetrams, separately. This is Hetal Nagaraj’s 2nd round of completion of full margam from start to finish by teaching it to various students. At Grace And Grooves, we aim to make sure you understand everything you see while we are just doing our job. Every beautiful thing under this sky has a name and so do the dances. From the thrill of nritta, beauty as in lasyam, fun of natyam, devotion as in bhakti and tapasya as in training, power as in shakti of tandav and possibilities as in Anantha- the infinite and we are still in same dance form when we do it right! Anantha-1 Dance Production was made possible by Dhamaal Events in association with Grace Effects ( Gopal S and Dinesh Kumar for photography and videography services). Big Shout Out To These Young Teenagers who had their paid student assignments at Anantha-1. Aditya Sangole as our Sound Technician and Emcee Yashika Nabar for our Dance Production Anantha-1. Anantha-2 Dance Production is next scheduled in March 2020. Dates & Times Will Be Announced Shortly. Indian Folk Dances from South by Performing Team with their own choreography…congratulations!! Call NOW because time and tides wait for none…. 972 979 2559. Exclusive Copyrights by Reach Media for Hetal Joshi Nagaraj| Grace & Grooves | Grace Creations | Grace And Grooves | Nruthyakala Dance Academy | Mirchi Dance Academy | Kalasri Classical Dance Academy : 2012-2019. Why Seperate Names For Each Programs? We always get this questions by people who do not know the art-forms. That why Seperate Names For Each Programs? We thought we will pen it, finally! Bharatanatyam Students DO NOT want to even hear about what Bollywood/movie dance students are doing. Funny but true that they are perfectly fine having Indian Folk Dances around during recital times but they want to hear ONLY BHARATANATYAM NEWS. But they want something of their own that they can rule it for whole 2-3 hours. All that makeup and costumes takes 1 hour just to begin and you just can’t learn dance and leave it there. How to learn to be creative as you walk in this journey! Indian Folk Dance students DO NOT want to see Bollywood/Indian Movie Dances posts anywhere happening in their newsfeed or anywhere around them. To them, culture is lost in peppy beats and those thumkas are not ok! Forget about infusing them together. 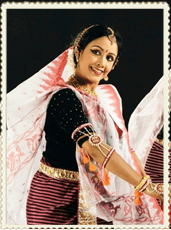 Here, check our Signature Indian Folk Dance Program. Indian Movie Dances/Bollywood/Tollywood/Whatever-ALL wood 🙂 students do not want to even hear the Carnatic Music! And Folk Music is not always appealing to people who have lived half of their life talking about movie stars and hearing those peppy beats! Forget about seeing their dances on one page and don’t even talk about ta tai tai tha.. Here, check our Signature Bollywood/Tollywood Dance Program. Fusion dances is whole new story and is not everybody cup of tea. Whoever dives in it will have to do the trainings. So that they don’t harm their body while trying something new that their body does not identify.. So that they can dance all their life in-spite of all the wear and tear that their body goes through.. So that you can look beautiful and be exceptionally creative. Guess what, Students of Fusion Dances at Grace And Grooves LLC can still define their dance moves with names 🙂 And yes, all of them has NAMES. Here, check our Signature Grace Creations Program. Join them all for just 1 year at Grace And Grooves and you will have your answers. Call NOW : 972 979 2559. Rinku Bhattacharya Das was initiated to the world of Kathak dance by her mother Smt Mallika Bhattacharya disciple of Guru Acchan Maharajji and Guru Laxminarayanji of Gunijankahana Jaipur. Ever since winning the prestigious Indian national dance scholarship from West Bengal Governor B.D. Pande at age 5 she continued her training from Smt Bela Arnab ( Dean of Kathak dance Rabindra Bharati University). 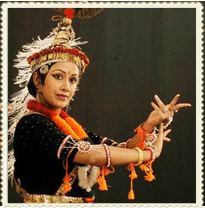 She broadened her understanding of indian classical dance forms by receiving rigorous training in Manipuri Dance from Guru Bipin Singh,Kalavati Devi and Padmashri Darshana Jhaveri. She was introduced to the world of contemporary dance by renowned Manipuri and Contemporary Dance artiste Sri Sanjib Bhattacharya . 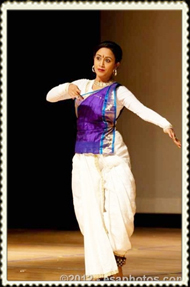 As a solo and a performing artiste in both classical and contemporary art forms she has performed in various prestigious dance programmes and festivals of India and USA. She is currently the Director of Nrityajyotidance Academy, North Carolina, USA which is devoted to the dissemination, training and promotion of the classical as well as contemporary performing arts based on Guru Shishya tradition and helps in promoting them internationally. Classical Background: Formal Trainings of introducing Indian dances started at the age of 4 from her mother Lt. Daksha M Joshi. Age 6, Formal Bharatnatyam Training started with Ms. Daksha. V. Joshi (Kalakshetra Style). 2018 Master of Fine Arts(Bharatnatyam) from Tiruchirappalli Diocesan Educational Society (Tamil University) under the mentorship/guide of Dr. Marie Stella (Pondicherry & Chennai-India) and Master Instructors such as KM Jayakrishnan Ambadi from Kalakshetra Foundation, Chennai(India). This program is most vigorous program in India for Bharatnatyam for which even students of Kalakshetra Foundation, Chennai(India) come to get their degrees because of extensive residency trainings and curriculum of this MFA Degree. 2015: Advance Bharatnatyam knowledge from Guru.Smt.Rama Vaidyanathan(held by NrithyaDhwani-Dallas 2015). 2015: Guru.Smt.Niraliben Thakore and Guru.Shri.Chandanbhai Thakore (Nrithyabharati “Bharatnatyam”-Ahmedabad-India 2015). 2014 : Bollywood Workshop of 12 hours with Ms. Shampa Sonthalia,A Bollywood Choreographer visiting Dallas. 2013: Fogana, assisting under strict supervision of Induben Mangrolia. 3rd prize adults/sr.folk/Garbha. 97, 98: Professional Kathak Courses Lucknow and Jaipur Gharaanaa/Alternately. 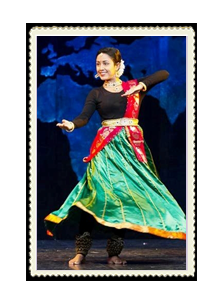 Indian Folk Dance Formal Trainings: Indian Folk Dances Trainings of over 15 years and she teaches each Indian Folk Dance as a DANCE FORM with several styles and variations. Some of popular Indian folk dances are: Bhangra, Gidda, Dandiya, Raas, Gagar, Sambalpuri, Kshetriya, Kallaripatt-Kalaripayattu, Kolattam, Padayani, Koli, India’s Tribal Dances, KummiAdi(Kummiadi), Bihu, Chirmi, Garba-Garbha, Dodhiyu, Lavani, Tippani, Garbi, Ghummar/Ghoomar/Ghoommar, Teratalli, Tera talli, Kalbelia, Garbi, Kumari and many more. 1999, 2000, 2015: Exclusvie Indian Folk-Dance Trainings from Guru. Smt. Mallikaben Sarabhai & several other respected teachers of/at Darpana Academy of Performing Arts (Ahmedabad). 1999: Navrang and Sri Sharada Kala Mandir for pure folk, fusion art forms and theater plays. 1999: She started her journey as a freelance choreographer and have performed/competed or choreographed successfully some of the best Indian dance competitions in exclusive folk, bharatnatyam and Bollywood since then. She started her journey from Ahmedabad, Gujarat-India, Michigan, Kansas and now in Dallas-Fortworth Areas of Texas. 1980s-90s: Guru. Smt. Minalben Oza and own mainstream schools(click here for her schools) (Gujarat Folk Guru-Gandhinagar Late 80s/90s). 1983 to 1998: She was introduced to non-Gujarati folk dances in her own schools-Mt.Carmel, St.Xaviers(Gandhinagar) representing various states of India where school/visiting faculties trained students with in-depth knowledge of folk dances and variations associated with it. Group performances aired in Doordarshan Television Channels, received titles as in cash prizes/awards in Indian cultural competitions [1999-2003] held by non-profit organizations such as Ahmedabad-YMCA, Rajpath & Local Lions-Rotary Family Clubs located in Ahmedabad, Gujarat-India. Certificates/credentials from non-profit organizations such as Help-Age-India , C.R.Y-India , CRY America Inc. (2015, 2016). Most of the awards are won in pure Indian Folk Dances against Classical Dances of India, Bollywood (or Non-classical categories) in Indian Dance Competitions organized all over Gujarat(India until 2003) and all over United States of America(from 2004 to till date: Michigan, Kansas, and finally Dallas-Fortworth/DFW areas). Mrs. Hetal Nagaraj takes it as her honor for the wins as the judges of these competitions had Masters In Fine arts from Indian Universities or had completed at-least 2 types of classical Dance Forms (Bharatnatyam+Kathak) with detailed knowledge of Indian Folk Dances as their main theory or practical paper in their degrees. These judges had further inspired Mrs. Hetal Nagaraj to take degree in master’s in fine arts along with family influences which she completed in 2018 with similar curriculum and specialties as in exams and practicals. Bharatnatyam(Kalakshetra), Modern Folk-Fusions, Pure Folk Dances of India, Classical Fusions, Lyrical, BollyHop/BollyJazz/Bollywood-Folk/Traditional/Modern/Fusion, Semi-Classical, Neo-Classical-Modern(India)Categories and Indian Contemporary Styles (From Indian Classical & Indian Folk Dances ONLY), Bolly-HipHop/Bollyhop. Hetal has showcased famous dances (some with trainings or some with exclusive copyright permits) of Guru.Smt.Minalben Oza, Guru.Smt.Mallikaben Sarabhai & Smt.Induben Mangrola’s conceptual art forms as a tribute in various dances of her own. Family Background: Knowledge of performing arts and theatre is being passed through generations in her family and Mrs.Nagaraj is the 4th generation to receive it as a gift along with trainings. Grandfather was classical singer and mother was a dance-drama artist with bachelor’s in arts from Mumbai University. Most or all her family members have at-least one classical/indian folk or non-classical background either in instruments, singing or dancing. It is just a family thing & Hetal being the first one to register this talent as company. She is settled with family of 2 beautiful kids and loving husband. She performs for not only Grace & Grooves | Grace Creations but also competed with national level dance team (Fogana 2013). Her passion is to provide not only quality dance education but also teach her students to respect culture and its values. Her students take home in-depth knowledge and love for dance/performing arts as lifelong lessons with awards from well-respected competitions. She performs regularly. When your life and trainings have enough of all you need, you don’t look at others to compare. Our trainings have given us so much that we are never run out on creativity within the dance forms. Fusions were yet another signature in making from year 2000 and that is how our owner took professional trainings in Kathak inspired by Madhuri Dixit’s dances in Indian Movies and Kathak based fusions in Bollywood Industry. *Cash Prizes(India)/Gift Cards(USA) in all years + 1 Award for consecutive wins. 11.Third Place(Below 13 Years)Solo.7 Years-Lavani, Indian Dance Competition,Plano-Texas. 12.First Place(Below 12 Years)Solo.8 Years-Garba-Dandiya/Raas, Plano-Texas. 15.Third Place(Grade 1-5)Solo.10 Years-Pushpanjali. Bharatnatyam Choreography Work : Hetal Nagaraj. Indian Dance Competition, Carrollton-Texas. Our Bharatnatyam Student from 2014. 16.First Place (Grade6-10), Solo 13 Years-Bollywood Fusion(Non.Classical). Indian Folk Dance, Contemporary, Bharatnatyam on Bollywood/Tollywood Song. Student trained in Indian Folk Dance, Contemporary, Bollywood and 2 styles of Bharatnatyam from Grace And Grooves LLC and other dance school. Indian Dance Competition, Carrollton-Texas. 17. Second Place, Solo. 10-11 years-Bharatanatyam. Exclusive Copyright Choreography of Malathi Iyengar, Choreographer:Hetal Nagaraj(Part-1). Student is a Bharatnatyam Student from Grace And Grooves LLC. Indian Dance Competition, Carrollton-Texas. How We Choose Competitions: READ HERE. Our Bollywood program includes Tollywood Dances(Telugu) and Other Indian Movie Languages, Remixes as well. IANT Day/IANT Night(Indian Association of North Texas), The Punjabi Association Hasda Punjab(DFW), DFW Hindu Temple – Ekta Mandir(Irving-Texas), Diwali Mela(DFW Indian Cultural Society-DFW ICS), Plano International Festival Corp, Tantex(Telugu Association of North Texas), NATA(North American Telugu Association), Karya Siddhi Hanuman Temple(Frisco), Flowermound Hindu Temple(Flowermound), DFW-Hindu Temple(Irving), Ram Mandir(Plano), Hare Krishna-ISKON Temple of Dallas, Schools, Colleges, Universities and several fundraising/community/cultural events. Annual Recital depending on program you join. Recital Pictures & Blog – Click Here. for Indian Folk Dances, Bollywood, Bharatnatyam. Other Services such as Mehdi Nights, Couples Only-Therapy Classes, Marriage-Event Classes, Birthday Parties are offered at competitive rates. Exclusive Copyrights by Reach Media for Hetal Joshi Nagaraj| Grace & Grooves | Grace Creations | Grace And Grooves | Nruthyakala Dance Academy | Mirchi Dance Academy | Kalasri Classical Dance Academy : 2012-2018. -Grace And Grooves and Competitions – Click Here. –Grace And Grooves performs at Diwali Mela organized by DFWICS at CottonBowl Stadium, Dallas-Texas. -Grace And Grooves organizes LIVE workshops for Community-Folk Garba-Dandiya for Kids and Adults in various cities, regularly every year. -Grace And Grooves organizes various Community Folk-Garba and Dandiya Workshops of different levels in Frisco, Plano, Lewisville, Irving, Southlake, Grapevine cities of Texas exclusive to Navaratri Festivals. -Grace And Grooves performs at DFW Hindu Temple/Ekta Mandir(Irving-Texas), Bollywood Indian Folk Dances and Indian Folk Fusion. -Grace And Grooves performs at an event organized by Indian Association of North Texas (IANT) at Lone Star Park, Grand Prarie, Texas to celebrate India’s Independence Day. -Grace And Grooves performs in Indian Cultural Heritage Event organized by Cimarron Park Recreation Center, City of Irving, Texas. -Grace And Grooves Performs for Punjabi Association of North Texas in Garland, Texas featuring dances in Punjabi and Hindi Language(Bollywood Bhangra, Bollywood Hip-hop and Traditional Bollywood. -Grace And Grooves Performs for Progressive Cultural Association in Euless, Texas featuring dances in Punjabi and Hindi Language for Bollywood Hip-Hop, and Traditional Bollywood. -Grace And Grooves Intermediate-Elite Team performs at International Yoga Day organized by Isha Foundation, Samskriti Bharati Foundation‬, Sanatana Dharma Foundation, Radha Krishna Temple of Dallas‬ at Falcons Field Park-Frisco, Texas. Dance featured Yoga stretches as requested. Please do not TRY any of our art-works without training. Our students are trained in these skills. -Ms.Hetal Joshi Nagaraj, founding member of Grace And Grooves offered LIVE workshops in Bollywood Hip Hop, Semi-Classical Bharatnatyam and Bollywood Fusion((Ages:8-13)to celebrate Yoga International Day at above event. -Grace And Grooves offers exclusive pure and modern Indian Folk Dance workshops(Garba-Dandiya Ages6-13) in Lewisville, Texas. 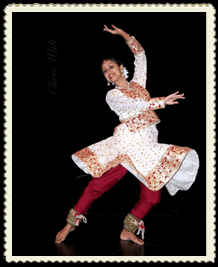 -Grace And Grooves offers Bollywood Hip-Hop Workshops(Ages6-13)in Lewisville, Texas. -Grace And Grooves performs at NATA organized North American Telugu Association featuring Dances in Telugu Language(Tollywood-Telugu Cinema Dances). -Grace And Grooves Elite Team performs on Mother’s Day featuring Bollywood Indian Folk Dances in Hindi Language followed by Shiva Tandav in Sanskrit. -Grace And Grooves Beginners All Boys Team, All Girls Team, And Volunteer School Project Team performs at Lewisville City Hall, Lewisville-Texas. Languages : Telugu, Hindi, Punjabi and Tamil. -Ms. Hetal Joshi Nagaraj offered educational workshops in Folk Dances of India(Gujarat to be specific) at Booker T. Washington High School (School of Performing and Visual Arts). Techniques, Differences of Modern, Authentic, Creative & Bollywood Folk were discussed and a 1.5 min of choreography w/techniques were also taught. Direct works of Ms. Joshi’s Folk Inspiration Resp. Smt. 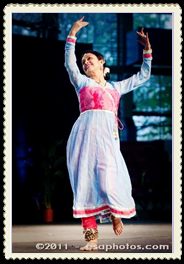 Indu Mangrola(Southlake/Grapevine-USA)were used along with her own Indian Folk Dance Guru. Smt. Minal Oza as set-examples. Languages : Gujarati, Kutchi. Past Performances include: Bharatnatyam Shlokas, Bollywood Hip-hop, Bollywood Indian Folk Dances, Indian Folk Dances(Rajasthani Ghoomar and Modern Lavani). -Grace And Grooves Beginners to Intermediate performs at Plano Civic Center at an event organized by Punjabi Association featuring Bollywood Indian Folk Dances. Languages – Hindi, Punjabi. -Grace And Grooves performs at Hanuman Temple, Frisco-Texas to celebrate Maha Shivratri featuring Bharatnatyam and Folk Dances of India along with other devotional category of dances in Sanskrit, and Hindi. -Grace And Grooves Pre-competition team performs at a private event showcasing solo performances in Bharatnatyam, Bollywood and Indian Folk Dances. Languages – Hindi, Sanskrit, Tamil, Telugu. -Grace And Grooves performs at an International Show on Global Stage featuring Lavani, Ghoomar(Ghummar) and Bollywood performances such as Bollywood Bhangra and Semi-Classical Dances. Languages: Hindi, Rajasthani, Kutchi, and Punjabi. -Grace And Grooves performs at India-Day for Bollywood, Fusion and Indian Folk Dances Categories. Indian Folk Glimpse of Kshatriya, Kalbeliya, Raas(Dandiya), Garba and Creative Devotional Folk were showcased. Bollywood Category featured Bollywood Hip-Hop, Traditional Bollywood, Bollywood-Folk Dances and Fusion Dances featured Indian Folk Dances, Bharatnatyam and Bollywood/Tollywood. Dances in Languages: Hindi, Gujarati, Telugu, Sanskrit. Guest Artist List : Coming Soon…. Anish Rangrej: September 2018 Navratri Dances. Students from other dance schools attended the workshop. Mr. Anish Rangrej is owner of IAGD-Indian Academy of Garba & Dodhiya at Surat(Gujarat, India). Anish is in Garba/Dodhiya field from past 18years. Anish Rangrej has mastered the skills and art of doing(playing as they call it in Gujarati) garba and dodhiya. His passion and love speaks for this traditional dance form in his 12 years of coaching success. He started his journey with njoy garba group(Surat-India) where he coached initially 2 to 3 students and in his span of 12 years, he has trained and coached more than 2500 students and 15 tutors. Anish Rangrej has anchored, choreographed different dance styles and have taught LIVE garba and dodhiya in various professional, corporate and social events. In 2017, he conducted workshops in New York, New Jersey, Dallas, Houston, SaintMarcos/Austin and Atlanta with 75 plus students attending the workshop of all ages. He aims to spread Gujarat Culture and awareness of garba, dandiya and dodhiya with his extensive research in this field. Exclusively Organized With Dhamaal Events And The Grace Effects. Ms. Riddhi Thakkar : September 2018. Riddhi has been passionate about Navratri and has been regular to venues such as Karnavati(Ahmedabad), Rajpath (Ahmedabad), Junagadh(Essel Park), Rajkot(Raghuvanshi Group) from Gujarat-India. She has around 8 years of experience in Garba. She exhibits styles of Navratri Garba, Dodhiya, Titodo, Sanedo, Daakla and such techniques that are famously known on the grounds of these venues ever-since 70s & 80s for their peculiar styles. She has also received 2nd place for the same during her LIVE-Navarati Competitions. She is from North Dallas-Texas. Don’t wait to book your next workshop. We have exciting things happening every year or every month at times. CALL NOW 972 979 2559. How and What You Dance Is Totally Our Business. Exclusive Copyrights by Reach Media for Hetal Joshi | Grace & Grooves | Grace Creations | Grace And Grooves 2012-2019. This material can not be published, broadcast, rewritten or redistributed without permission. Protected: Fusion…Dance Type….Creative Dance….Dance Form…Dance Styles….Whats the Buzz! Classical Background : Received training in Bharatanatyam from Kalpakkam Dance School, under the tutelage of Guru. Smt. S. Divyasena in Kalakshetra Style.(1995-2002). Guru. Smt. S. Divyasena now runs Divanjali in Chennai. Performances (India): Deepthi has been an avid performer with public appearances in audiences of 5000 & more. Her best art-works were showcased in Malayala Samskarika Vedi, Onam Cultural Feast, Supreme Foundation-Kalpakkam-India. Other accountable performances include performances at Navratri Festival-Mahabalipuram, Kendriya Vidyalaya , NESCO Cultural Festival, and Kalpakkam Dance School Cultural Festival, India. Performances (Dallas-Texas, USA/DFW): Classical-Shabdam in charity event organized by CRY America Inc. in CRY-Walk 2015 Irving-Texas, light semi-classical bollywood performances in Dallas/Forthworth Diwali Mela 2015 organized by DFWICS-Dallas,Texas as well as event by DFW Hindu Temple, Irving-Texas. 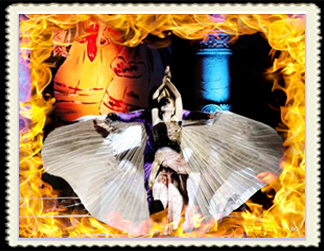 She is our elite performing team for Bollywood Folk, Bharatnatyam & Semi-classical Bollywood, Classical fusion categories. Specialization : Bharatnatyam, Semi-Classical Fusions, Modern Folk-Fusions, Bollywood Semi-Classical Styles, Lyrical, & Bollywood Folk, Traditional Bollywood. Deepthi had taken a break from dancing in year 2017 to 2018, half year and joined back in September 2018 and took break again from teaching in December 2018 itself due to commitment required to teaching. Performing Team : She successfully participated in Anantha-1 Dance Production by Hetal Nagaraj along with Irving Performing Team for Modern Folk featuring South India with their own choreography and Edm Swala-Jathi featuring Bharatanatyam dances along with Tejaswini. She continues to perform with Grace and Grooves performing Team and will do short term teaching commitments depending on availability such as 3 months or one choreography. Notable Contributions : Click Here.